The team has begun moving a geological collection out, as the last stage of emptying the natural history museum. 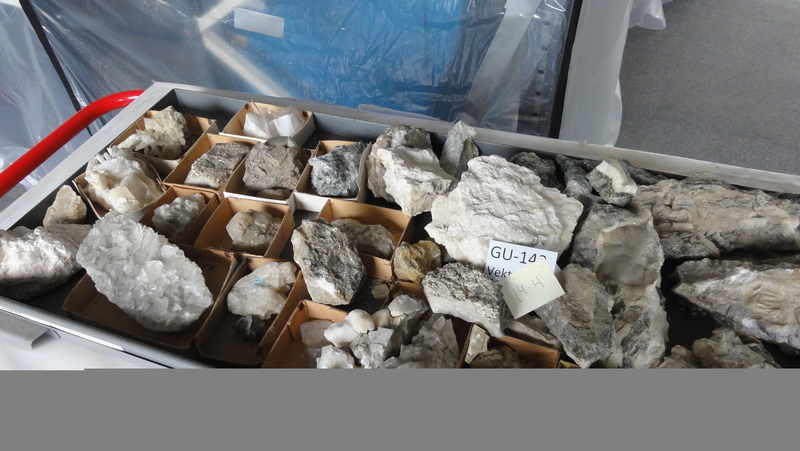 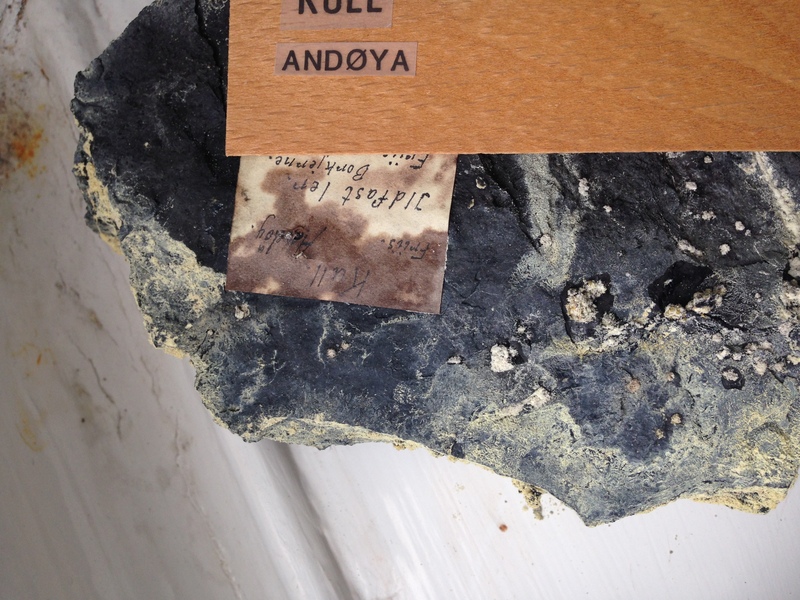 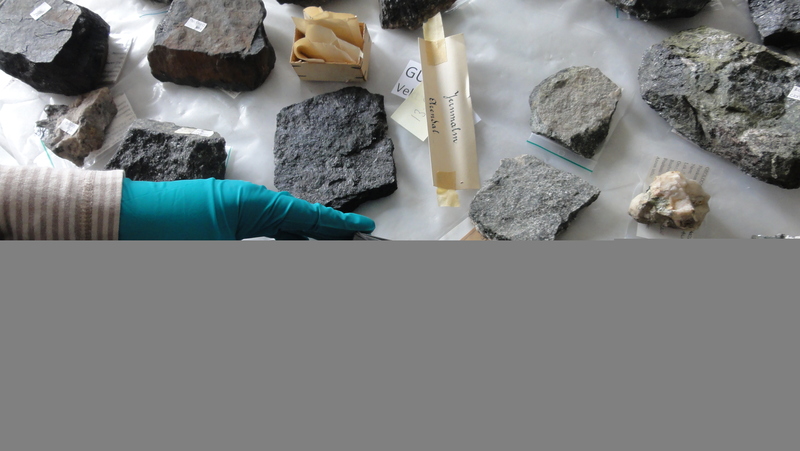 The geological samples were housed in the basement and had not been curated for many years. 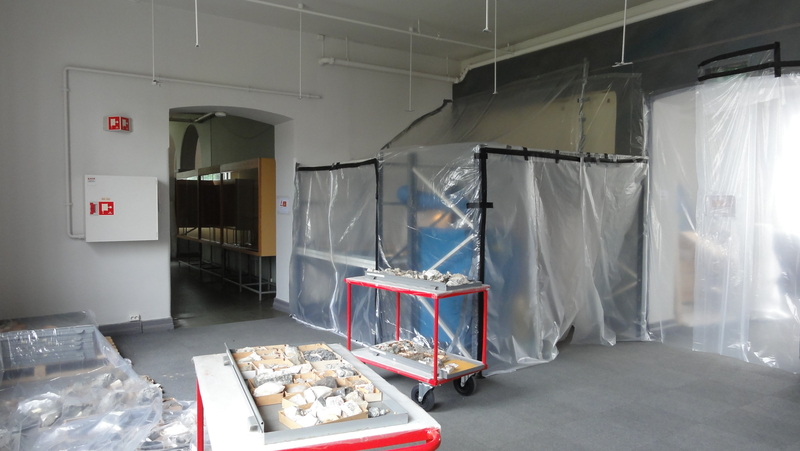 The basement wasn’t suited for storing museum objects which became obvious when looking at some of the samples. 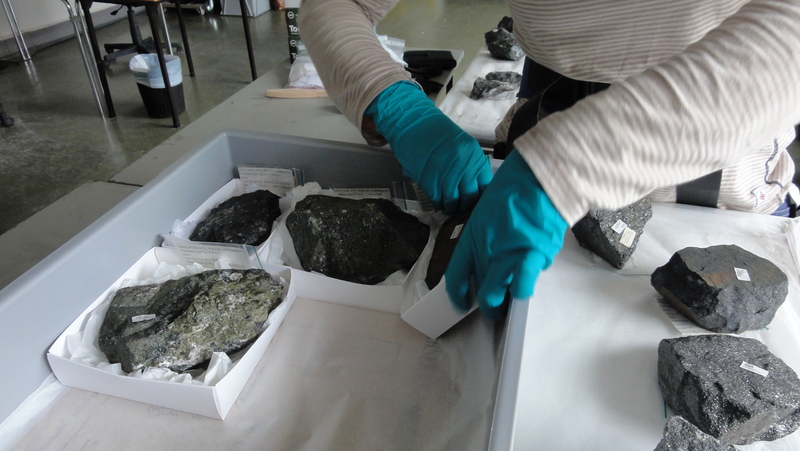 Especially pyrite oxidation is a problem when the humidity is high. 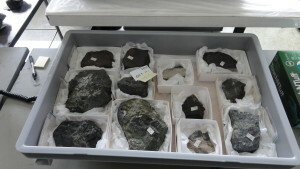 The stones were transported up from the basement in original crates. The samples were cleaned in a temporary enclosure with compressed air…. …and repacked in new acid free boxes padded with silk tissue paper. 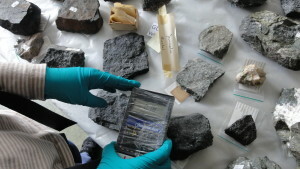 All samples were in addition measured for ionizing radiation with a Geiger counter. 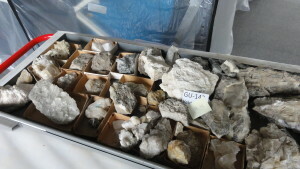 Repacked stones in plastic box.